How can I reuse or recycle old padded envelopes? | How can I recycle this? 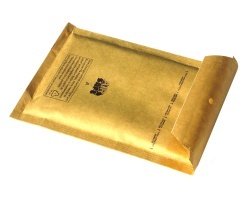 How can I reuse or recycle old padded envelopes? I’ve just started making my own jewellery and have been ordering various bits and pieces, earring findings and whatnot, over the internet – resulting in a slew of padded envelopes plopping onto our doormat. We’ve already addressed normal envelopes and bubble wrap, but what about the jiffy envelopes that combine the two? I’ll keep some around to reuse for their intended purpose – but has anyone got any ingenious ideas for using up the rest, taking full advantage of their padding and envelope-ness? I always keep them around and re-use them as long as I can (sometimes re-wrapping with plain brown paper if necessary or ripping the bubble part out from the paper). – use the same technique to make a padded seat for hard chairs, children sitting on the floor, going to sporting events etc. That’s not really taking advantage of the envelope-ness though…. You could try offering them on freecycle (http://freecycle.org to find your local group). There were some offered on the Chester site recently and they were very popular! I reuse them for holding those preprinted address labels that come from all kinds of charities, who send them each time you make a donation and some even when you don’t. To springboard off what the “other” Megan said – can you get a bunch of those envelopes together and cover them with a water-proof material? This could be used as a cushion for your knees while gardening. frankly, that is such a good idea I thought I would thank you! That was a wonderful idea i,m always loosing my knee pad now i can make some and dot them all over the place. If you are selling your jewellery (especially if you seel on-line and need to post it occasionaly) then it would be wise to hold on to these envelopes. Just cut them to size and glue bright paper over it – this way you would have a safe and personal way of posting your fragile items. These are very useful for physics projects in which one must protect a falling egg. Egg drops, we called them. I’m an avid ebay user and have tones of these all sorted into size. When I have finished selling all my stuff any left over envelopes are going on ebay as a bulk buy. Always re-use. I hope that by setting the example, I am contributing to general awareness. It also saves us a lot of money, as padded envelopes are costly. Depending on the envelope, you can sometimes turn them inside out and reuse them, save a bit of money that way. This I do with undies! And front to back too! And then with my neighbour! It multiplies the possibilities. I always use them for the same purpose. Worst case you can take or glue some paper to cover the old address labels and stamps. So I have usually a selection of different sizes – brilliant for sending books or anything fragile. 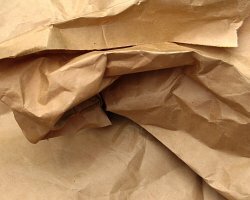 I feel that small local businesses could offer to recycle padded envelopes & other packaging which would otherwise be thrown away by the public. I have a boxful of such envelopes sitting unused in the loft which could be re-used several times over. It’s a matter of putting the right people in touch with each other! Depending on the size of the envelope, you could cover it in some of that sticky backed, clear plastic and turn your large padded envelope into a laptop or notebook bag. You would need to add a clip and string to fastening the envelope but that is easy enough (think those old fashioned inter-office envelopes we used to use before email). This would make a funky laptop cover for a college kid. Or you could use duct tape to cover the entire envelope instead of using the laminating plastic? Or maybe fuse together shopping bags from the store and use those to cover the envelope? 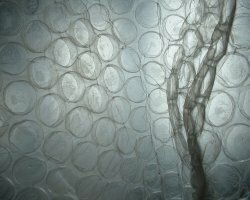 I think I will go and play around with some used padded envelopes to see what I can come up with. my local oxfam bookshop takes these as they sell many books by mail order. ask the manager.